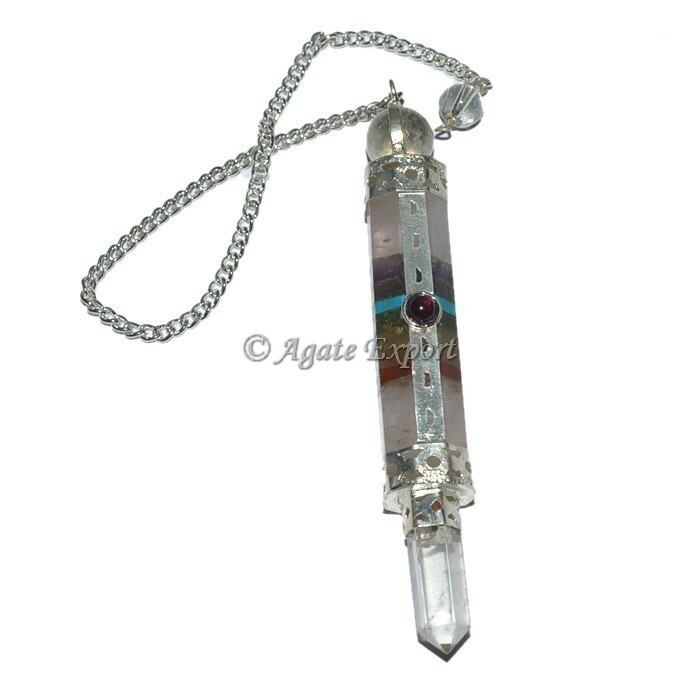 Here is the huge collection of Rose Quartz 7 Chakra Bonded 3 Pcs Pendulum Online. Rose Quartz is used for healing the heart. 7 Chakra is used for meditation and healing the body. The combination of rose Quartz and 7 chakra is gives the best enhancing benefits. Order online today only at Agate Export. Beads - 6 Faceted Pendulums.